As you may be able to tell from my pervious posts, the Stafford Family has been blessed with a very full freezer from our buck hunting excursions this season so far! I have a rifle tag that I haven’t even attempted to fill yet because of the fact that we have no room in the freezer!!! To top it off, figuratively and literally;0) Lol, duck season is days away and I know that we will need room for that meat as well! So I have been doing my best to plan meals for the last couple of weeks that are based around the game meat we have in the freezer. I’ll try to jot down these recipes and remember to take a few pics as I make these meals to share on this blog, but please remember, I am the farthest thing from a chef! I am a working mom and wife, just trying to make these Staffords a healthy, home cooked meal. 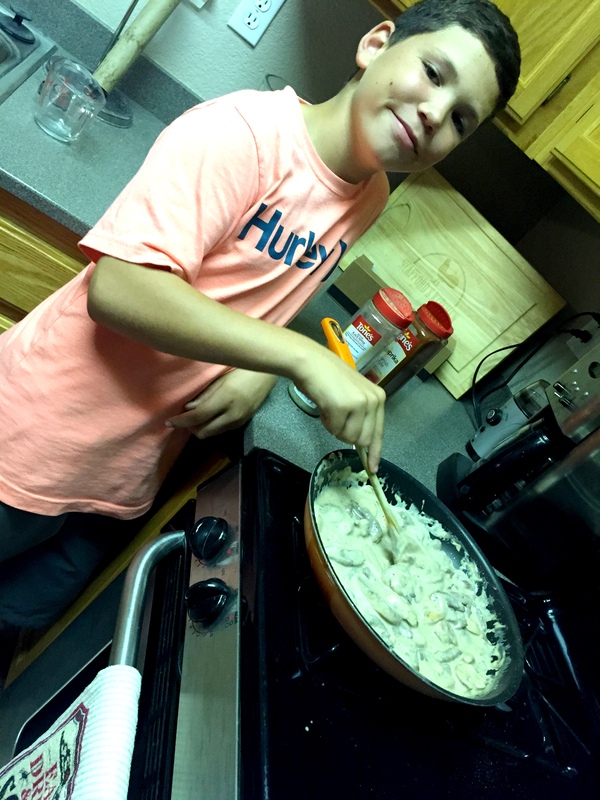 Sometimes my cooking is a hit and a lot of times it is not, but in the end we are grateful for the food in our bellies and family time we have when sitting down for a meal together! 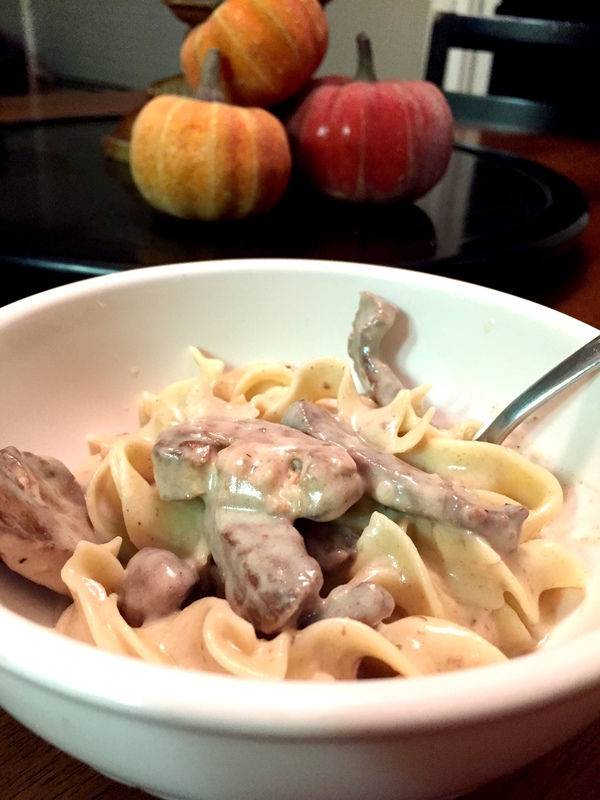 This week’s biggest hit was Venison Stroganoff. We love this meal. It is comfort food at its best and its even better when I make it with deer meat and not just store bought beef! Kids and Casey give it 5 Stars. Try it out! I am sure you will like it too! 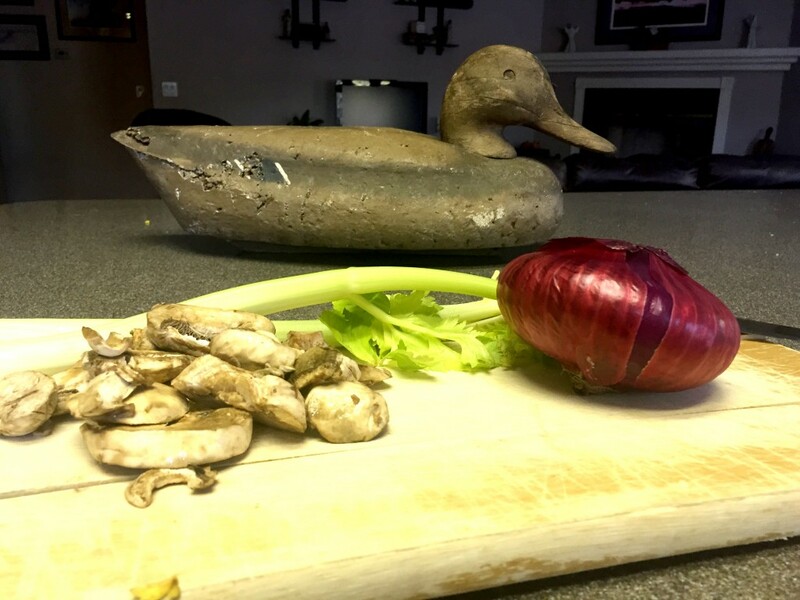 Chop Celery and Onion and Mushrooms too if you'd like. Pour 1 Cup of Milk into a Ziplock Bag with Sliced Venison. Let sit at room temp while making sauce. Bring Water to a Boil for Egg Noodles or Rice - Whichever you prefer to serve your stroganoff with. Melt the butter in a hot pan over medium heat and whisk in flour to make a paste. 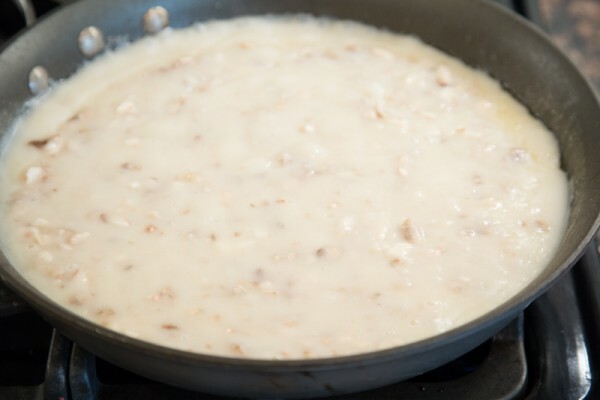 Whisk in 3 Cups of Milk and let thicken over medium heat. Stir in Mushrooms, Celery and Onion and let cook for a few minutes. Season to taste then set to simmer. In a second pan heat coconut oil until melted over medium heat. Remove Venison Strips from Milk Bath and place in pan. Brown venison just until brown on each side. Be careful to not over cook it. Remove from heat, drain and add it in to the sauce pan. Once combined stir in one cup of sour cream and frozen peas. Let simmer all together until noodles or rice are ready. Taste the peas to make sure they have warmed and you are ready to serve! Add a tad bit of paprika to make it look pretty! You are done! Plate it up! Easy Buck Meat for Dinner!